futurist shapes. The Retreat is the break of the busy weekday. Seated in the Retreat you are shielded against the noise and pulse around you. Retreat is “a room inside the room” - “a place” where you can be undisturbed for a short while / appearing in a pleasant design / being mobile / where smartphone or iPad can be connected and recharged / and where you can relax, work, read, listen and speak. The model is movable by means of 8 castors, braking when being loaded. Model Specification & Pricing Includes LED lighting, castors, rechargable battery, speakers & bluetooth, ipad and smartphone connectivity. £465 per quarter over 3 years Approx: £155 per month ex vat *based on all extras included £4,718 ex vat as above picture *subject to terms and conditions. Please ask for details. With an option of speakers with bluetooth connectivity, and wireless charging. Why not complete the set with the footstool and shield for extra privacy. 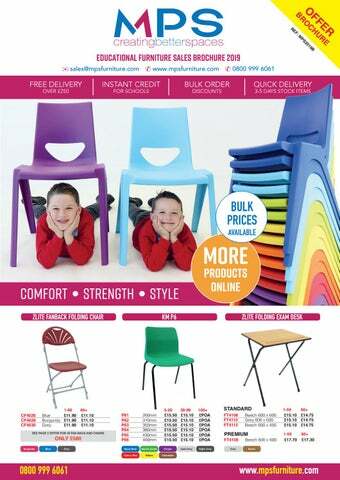 Zlite Exam Range The Zlite folding chair range are compact, stylish and affordable. This makes it the perfect folding chair option for guests and students, at those important school events. Please state your top colour when placing your order. Please state your laminate colour, frame and edge when placing an order. 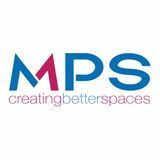 sales@mpsfurniture.com Trays come in 28 different colours. Please state your colour when ordering. TRAY UNIT Y15116	6	W360 x D453 x H617mm	Y15118*	6	W360 x D453 x H617mm	Y15120	12	W700 x D453 x H617mm	Y15122*	12	W700 x D453 x H617mm	Y15124	18	W1030 x D453 x H617mm	Y15126*	18	W1030 x D453 x H617mm	Y15128	24	W1030x D453 x H789mm	Y15130*	24	W1030 x D453 x H789mm	Y17005	30	W1030 x D453 x H961mm	Y17007*	30	W1030 x D453 x H961mm	*Units come with doors. Go beyond your existing classroom technology limits with the premium ActivPanel. Its full range of features will engage students with its captivating tablet-like experience and the industry’s most natural touch and writing surface. The award-winning ActivPanel is one of the best interactive displays for education, providing a tablet-like experience at the front of the classroom. ActivPanel delivers the industry’s most natural writing experience for teachers and students so they can collaborate with ease. Operating Lease (educational) £275 per quarter over 3 years Approx: £91.60 per month ex vat *subject to terms and conditions. Please ask for details. LEAD TIMES MAY VARY - PLEASE CALL TO CHECK. ©2019 E&OE. ALL ITEMS ARE MADE TO ORDER AND NON-REFUNDABLE Prices may be subject to change and may differ online a certain times.